Although organic farming has been adopted by a small but in­creasing number of Midwest farmers as an alternative to conventional agriculture, this change received little attention until the early 1970s. Newspaper and magazine articles that began appearing at that time described several commercial-size farms that had adopted organic methods. These reports suggested that organic farmers were much like other farmers engaged in commercial agriculture. They raised ques­tions about the general assumption that organic farmers were home­steaders who had moved to the country to operate small subsistence farms, weekend farmers who supplemented their income by raising fruits and vegetables, older farmers who had never adopted “modern” technology, or groups like the Amish who farmed organically for religious reasons. Neither the prevalence nor the feasibility of organic farming had been examined at that time and little was known about who its practitioners were, what they did, or how they did it. Even less was known about the factors that conventional farmers considered in de­ciding to switch to organic methods or the kinds of problems they encountered. The relatively small number of conventional farmers who have made this change suggests that it involves serious barriers. This chapter examines eight potential barriers to conversion, using in­formation on how they are perceived by organic farmers who over­came them. It complements earlier research concerned with the effects of this change. The first important study of organic farming compared the eco­nomic performance and energy intensiveness of matched pairs of con­ventional and organic farms in five Midwest states (Klepper et al. , 1977). It concluded that the value of crops produced over a 3-year period on the organic farms was about 11 percent lower than on the conventional farms, that production expenses also were lower on the organic farms, that the labor requirements for organic farms were somewhat higher, and that net returns from both groups were about the same. Other economic studies that followed reached similar con­clusions (Roberts, 1977; Berardi, 1978; Kraten, 1979). Oelhaf (1978) examined the economic implications of a hypothetical large-scale shift to organic methods and concluded that the resources needed to expand organic farming appeared to be available. The social characteristics of organic farmers in the Midwest were examined by Wernick and Lockeretz (1977). This study found that the age distribution was virtually identical to that of all farmers in the five-state region, that five-sixths of the respondents had con­verted from conventional to organic farming, that they were motivated mainly by practical considerations, and that the changes typically were limited to use of chemicals and did not involve other important departures from prevalent practices. Other studies have described the characteristics of organic farmers in Maine (Rozyne and Vail, 1978), Michigan (Harris, Powers, and Buttel, 1979), and Ohio (Mar-ston and Flinn, 1981). Youngberg (1978) also examined the growing network of organic agriculture groups and the beliefs of organic farm­ing proponents. The first national study, requested by Congress and carried out by the U.S. Department of Agriculture, concluded that research and educational programs should be developed and implemented to address the needs and problems of organic farmers and to enhance the success of conventional farmers who want to shift toward organic farming (USDA, 1980). Several state agriculture departments also have as­sessed the potential of organic farming (Planning and Development Division, 1979). Data were obtained from a survey mailed to 547 organic farmers in Iowa, Minnesota, Nebraska, Missouri, and Illinois. Responses were received from 214 farmers (39 percent), of which 183 were us­able questionnaires from farmers who were still active and still using organic methods. No census or other comprehensive listing of organic farms exists. The population of organic farmers has not been defined in any of the states involved, so it was not possible to select a random sam­ple. The organic farmers surveyed came from a list compiled in 1977 at Washington University. The names had been obtained by mailing questionnaires to members of organic farming associations in the five-state region. Many of the respondents provided names of other organic farmers, who also received questionnaires. More than 1,100 questionnaires were mailed out, and 685 were completed and returned. This study limited the survey group to farmers who managed at least 4 hectares organically, did not use inorganic fertilizer or other farm chemicals, and had used organic methods for at least 3 years. The original list of 685 was reduced to 547 as a result. Although a list of this kind has obvious deficiencies, it was the best sample available for the five-state region. The inability to sta­tistically sample organic farmers limits the extent to which inferences from a survey can be made to a larger population. However, the sam­ple used in this study is suggestive of who the organic farmers in the region are and what they do, and provides usable initial data on bar­riers to conversion. Nearly three-fourths of the respondents had farmed with chemi­cals before switching to organic methods and had overcome any exist­ing barriers to conversion. Of those who had always farmed organically, 88 percent used organic methods on all their cropland. Of those who switched, 80 percent farmed all their cropland with organic methods. The majority of those with cropland under both types of management reported the land they farmed conventionally was rented. Farms operated by the survey respondents ranged in size from 11 to more than 400 hectares, with more than half between 40 and 120 hectares. Three-fifths of the respondents were between 40 and 60 years of age. The average age for all farmers in the survey group was 50, slightly less than the national average of 52. Only 14 farmers were under 30 or over 70, however, suggesting that most organic farmers are neither young homesteaders nor older farmers who have never adopted modern farm technology. Seventy percent of the re­spondents reported they were full-time operators. One in four re­ported some off-farm employment but only one in five worked off the farm more than 100 days a year. This compares with 30 percent of all farmers in the North Central states who work off the farm 100 days or more a year. Seventy-nine percent of the 133 respondents who switched from conventional to organic methods did so during the 9-year period end­ing in 1977. The decisions were fairly evenly distributed over this period. These converter/adopters were asked to identify the most im­portant factors that encouraged them to consider a switch to organic methods. Table 16.1 shows that the leading factor was the influence of a relative or friend and was cited by 34 of the 133 respondents. Influencing Factor Number of times cited. Percentage of tool making switch to organic. The 133 converter/adopters were asked why they waited as long as they did to make the change. Twenty-nine reported they had hesi­tated for some time before trying organic methods. The conversion barriers listed by these 13 farmers included lack of information about organic methods (8), fear of a radical drop in yields (5), concern over weed problems (5), and concern over landlord objections (3). Another approach used to identify potential barriers was to ask farmers what they considered the “greatest disadvantages” of farming organically. One-third of the respondents either wrote in “none” or left the space blank. A total of 125 disadvantages were listed by the remaining two-thirds of the respondents. Weed control difficulties, listed by 51 respondents (28 percent), stood out as a major problem. The second most serious disadvantage, a higher labor requirement, was listed by 14 (8 percent). Lack of special markets was listed by nine and problems related to social pressure were listed by seven (negative opinions of farm neighbors, ridicule by academic institutions, and lack of public support). Although a large number of disadvantages were identified, it is significant that none of the respondents listed an expectation of lower profit or reduced net income as a problem. This suggests that eco­nomic feasibility is not generally perceived as a barrier to adoption of organic methods. The remainder of this section discusses individ­ual barriers in greater detail. It has been suggested that farmers exploring the possibility of switching to organic methods have difficulty obtaining reliable infor­mation that would help them make up their minds, and that they have been unable to obtain it from the Extension Service and other tradi­tional sources. The farmers surveyed were asked to identify the in­formation sources they relied on to learn about organic farming meth­ods . The questionnaire listed eight possible sources and provided space to list others. Table 16.2 shows that the farmers who completed this portion of the questionnaire relied almost entirely on nontraditional informa­tion sources. More than three-fourths, for example, checked “other organic farmers” as an important information source. Other sources checked by a large number of respondents were books and magazines on organic farming (67 percent), representatives of organic fertilizer companies (67 percent), and workshops and conferences on organic farming (45 percent). The responses also show that most organic farmers do not con­sider traditional agricultural information sources to be reliable for organic farming. Only 3 percent checked extension agents and special­ists as a source they rely on and only 5 percent checked university faculty members. The additional information sources written in also were not traditional sources, a further indication that most informa­tion is obtained elsewhere. A similar pattern emerged when the 173 farmers who identified these information sources were asked to select the two they considered most important. “Other organic farmers” again was at the head of the list, followed by books and magazines on organic farming, represent­atives of organic fertilizer companies, and workshops and conferences on organic farming. Extension specialists and county agents were selected as one of the two most important sources by only one re­spondent, and academic faculty members by three. Information Source Number of Times Checked Percentage of Responses Times checked as one two most important. Some dissatisfaction was expressed with the “reliable” infor­mation that is available. Thirty of 151 farmers who answered a ques­tion on this point reported that available sources of reliable informa­tion were not “readily accessible and adequate” for their needs. These data strongly suggest that organic farmers are reasonably satisfied with the alternative information system that has been built up in recent years by publishers, fertilizer companies, and others in the organic farming industry. It also seems clear that most of them have ready access to this system. The organic farmers also consider other organic farmers their most important single source of reliable information. The availability of this source is seen in another response that showed 70 percent of the farmers saying they knew of at least one organic farmer living less than 10 miles (16 km) away. Traditional sources of agricultural information, such as exten­sion agents and specialists, are not viewed as important sources of reliable information. It is unclear whether the respondents had asked them for information and been refused, did not ask them because they assumed they would be unable or unwilling to provide information, had asked for and received information that was not helpful, or had other reasons. The responses to these questions show that an alternative or­ganic agriculture information system exists and that it generally meets the needs of those who learn about it and use it. The responses also suggest that little information on organic farming is available from traditional sources. This study does not attempt to determine the extent to which conventional farmers are able to find out about this alternative information system or to gain access to it. The informa­tion gathered here strongly suggests, however, that gaining access to reliable organic farming information is a difficult problem for con­ventional farmers who want to learn more about organic agriculture, and appears to be an important barrier to adoption of organic methods. Organic farmers express a strong interest in research to im­prove the methods that they use. A total of 106 of 145 farmers re­sponding to a question about research needs favored more research on specific organic farming problems. Weed control, soil improve­ment, and marketing were the problem areas most frequently listed. Forty-six of the 106 respondents listed improved weed control practices as an important research area. Nineteen specified soil improvement research and 16 listed organic produce marketing. Other problem areas suggested by 5 or more were organic tillage practices, nonchemical insect control, organic livestock production, organic fer­tilizers and soil amendments, manure composting methods, compara­tive crop quality studies, and mass media information problems. Since most publicly supported agricultural research with a re­gional focus is carried out at land grant universities, organic farmers were asked whether the universities serving their states were doing research on the problem areas they had listed. Only sLx indicated they knew of any. A number of critical comments written in on the ques­tionnaires suggested that organic farmers do not look to these insti­tutions for research assistance. An attempt to obtain organic farming research information from land grant institutions serving the five-state area was unsuccessful. The deans of agriculture were asked in writing to list organic farming research underway at their institutions and to send any reports that were available. The responses did not yield any helpful information. The farmers surveyed also were asked to identify any aspects of a sound overall organic farming program that they would undertake if they knew more about it. Sixty-one of the 146 responding to this question listed farming improvements they would like to adopt. Six­teen indicated they would like to develop or improve their ability to compost manure and other wastes for fertilizer. Seven others listed a need to increase organic fertilizer applications and several others specified improvements related to fertilization (improved rotations, better manure utilization, improved soil mineral balance, and a need for complete soil audits). Weed control was the third most frequently mentioned area. These responses suggest that organic farmers in the five-state area have a strong interest in research on a wide range of problems but have little confidence that the land grant university serving their state will address these problems. Although the organic agriculture industry is meeting many of the information needs of organic farmers, it is unlikely that it will be willing or financially able to meet their research needs. This inability to get research done on problem areas identified by organic farmers is a potential barrier to conversion to organic methods, one that is not likely to be removed in the near future. One advantage that could provide an economic incentive for adopting organic methods is the potential for selling grain, meat, vegetables, and other farm products into special markets at premium prices. Half of the farmers who answered questions relating to organic market opportunities reported they had sold, or were planning to sell, at least some of their production through special organic marketing channels. A surprising finding was that 60 of the 178 respondents (34 per­cent) were unaware that special organic markets exist. Twenty-nine others (16 percent) reported that they were aware of these organic markets but, for various reasons, did not use them. The responses also showed that farmers who had switched to organic methods had a higher level of market awareness than farmers who had always used organic methods. The 89 organic farmers who utilized special organic markets were selling a wide range of products. Fifty reported they were selling livestock or poultry fed organically grown feed, 48 were selling vari­ous types of grain, 38 were selling soybeans and other types of beans, 9 were selling vegetables, and 10 were selling milk, eggs, fruit, and other organic products. Responses to questions dealing with the pro­portion of total production organic farmers sell in special markets were sketchy and inconclusive. Another area where little information is available is the amount of premium paid for organically grown products. Premiums for or­ganically grown corn were about 10 to 20 percent (10 farmers); for wheat, 15 to 30 percent (13 farmers); for oats, 20 to 70 percent (5 farmers); for soybeans, 10 to 25 percent (15 farmers), and for beef, 5 to 10 percent (17 farmers). Organic farmers reported a strong and growing demand for the full range of commodities when they were asked to compare the de­mand for organic produce in 1979 with that of the previous year. Seventy-five percent of all market demand ratings were in the “some­what greater” or .”much greater” categories. Farmers who do not sell to organic markets tended to view de­mand with less optimism. Only 31 percent of their ratings were in the “much greater” category, for example, compared to 46 percent for those using these markets. Twenty-eight percent of the nonseller ratings were in the “about the same” category, compared to 22 per­cent for the sellers. This difference between sellers and nonsellers suggests that reliable market information may not be readily available to those who do not use special markets and that they are left with the impression that the opportunity to sell this way is not as good as it actually is. It is even less likely that conventional farmers considering switching to organic methods, or those who have just done so, will have access to reliable information on marketing opportunities. This marketing in­formation problem, which may make it difficult for conventional farm­ers to realistically assess the economics of organic methods, appears to be another barrier to making the change from conventional to organic methods. A relatively low response rate to this question suggests farmers may not have fully understood it. More than half of the farmers ex­pressing satisfaction with their market information listed a particular organic fertilizer company (33 percent) and personal contacts (29 per­cent) as their main organic market information sources. Other special market information sources listed included an organic agriculture periodical (13 percent), food cooperatives and health food stores (8 percent), a regional organic growers association (C percent), and other newspapers and magazines (G percent). Conspicuously absent from this list are conventional sources of agricultural market information and national and regional farm and commodity organizations that promote agricultural marketing. When asked whether they had been assisted in any way in marketing their organic production by conventional sources of market information (“a farm organization, the county agent, a representative of USDA or state agriculture department, or other such source”), 92 percent of the 159 farmers answering the question said they had not. Eight of the 13 who reported they had received assistance from a conventional source in fact did not identify a source that fell within the description provided. The farmers were asked in a related question whether they had attempted to obtain special market information from the conventional sources described. Nineteen of 145 farmers who said their sources of information were inadequate or nonexistent reported they had re­quested assistance from a conventional source but had not received a helpful response. These responses strongly suggest that most organic farmers have considerable difficulty obtaining special market information, that nearly all who do obtain it get it from organic industry sources or through personal contacts, that only a handful were helped by publicly supported sources of agricultural marketing information or by national or regional farm and commodity organizations, and that most of those formally requesting information from conventional sources did not re­ceive a helpful response. For the farmer considering switching to organic methods, or the farmer who has recently made this change, the problems involved in obtaining this kind of specialized market information would be even more difficult. Access to special marketing information, as a result, stands out as an important barrier to conversion. In addition to having problems in obtaining reliable information on special organic markets, organic producers also have identified a long list of market structure problems. The 46 farmers who were aware of organic markets but did not use them, or used them only for marketing special products, were asked why they did not partici­pate fully. The largest number (39 percent) reported the distance to market was too great and the next largest number (15 percent) re­ported they used all their organic production for livestock feed. Other problems listed by three or more farmers were long delays in getting paid, orders that are too small, and the requirement that organic products be cleaned and bagged. Other problems listed by the non-sellers included trouble con­tacting buyers, trouble meeting standards, unreliable markets, in­sufficient volume, a need to store while awaiting sales, a need for separate organic storage space, limited market opportunity, and too much trouble. Although marketing difficulties were cited by only nine of the 183 survey respondents as “the greatest disadvantage” of farming organically, the problems described suggest that many others view them as a serious problem. It seems clear that organic market struc­ture problems are a potential barrier to farmers considering switching from conventional to organic methods. Of the organic farmers who responded to a survey question on fertilizer use, 88 percent reported they purchased organic fertilizers and soil amendments from private companies. Most of them reported they were generally satisfied with the companies that sell these pro­ducts, the quality of the products, and the results obtained. Problems cited by those who expressed dissatisfaction included poor crop re­sponse, high prices, inadequate delivery system, and unsatisfactory products. Thirty-four farmers (21 percent) indicated that they did not like the form in which the products were sold or the way they were mar­keted. The most common complaints were that these products are often available only in carload lots, that many are difficult to spread, and that delivery points are often few and far between. Only 143 farmers responded to a question asking whether they considered most companies selling organic fertilizers and soil condi­tioners to be “reputable and honest” in making product claims. Seventy-one percent said yes, 24 percent said no, and 5 percent were unde­cided. The problem of serving a relatively small number of geograph­ically dispersed farmers clearly is a continuing problem for organic fertilizer companies. Although these products were considered satis­factory by most of the organic farmers surveyed, the problems in­volved in obtaining them when and where they were needed is a barrier to adoption of organic methods. It appears to be a serious obstacle for conventional farmers who are considering switching but have little information on these companies and no way of evaluating their products. It has been suggested that a potential barrier to switching to organic methods is the reluctance of landlords to permit their land to be farmed organically, particularly when crop-share leases are involved. A related potential problem is the reluctance of organic farmers to enter into short-term lease arrangements where there is no assurance that the long-term soil building and other benefits of organic management can be realized. Nearly half (45 percent) of the farmers surveyed reported that they farmed rented land. Sixty of the 82 who rent land farm all of it organically, 12 farmed part of it organically, and 10 farmed all of it with conventional methods. Of the 22 who farmed some or all of their rented land with conventional methods, eight stated that they did not use organic methods because their landlord objected and two others reported that landlord objection was a factor. The landlord-tenant relationship also was explored by asking whether the rented land was owned by a relative or a family member. Two-thirds of the rented land farmed organically is owned by a rela­tive, nearly twice the proportion for rented land farmed convention­ally. This suggests that organic farmers rent from relatives so their tenancy will be more secure. Only five of the 72 farmers who farm rented land organically reported the terms were different from what they would have been had the land been farmed conventionally. Although there is evidence that some landlords want their land farmed with conventional methods, this does not seem to be a wide­spread problem. However, this survey did not provide information on landlords who refused to rent land to operators who wanted to farm it organically. The evidence suggests landlord discrimination is not a problem for most of the farmers responding to the survey and is not a serious obstacle to switching to organic methods. Because operating credit (as well as other short-term financing) is such a critical production input, any credit discrimination by banks, the Farmers Home Administration, or other conventional farm credit sources would be a significant barrier to adoption of organic methods. Responses to questions dealing with farm credit suggest, however, that organic farmers are much less dependent than conventional farm­ers on banks and other credit institutions. Two-fifths of the farmers answering a question about bank financing reported that they do not borrow from banks and only 12 percent of the 68 farmers involved listed other conventional farm credit sources. Although organic farmers may not be big users of credit, re­sponses to a related question showed that a sizeable number of or­ganic farmers believe credit discrimination is a problem. Forty-nine of 130 respondents answered “yes” with regard to whether “organic farmers in general are discriminated against or treated unfairly by lending institutions.” This kind of discrimination is perceived as a problem by many organic farmers even though most had not experi­enced it themselves. The fact that most farmers needing bank loans were able to obtain them suggests that credit discrimination is not a critical barrier. The responses suggest that pressure on organic farmers seeking credit is subtle, that those who borrow regularly from their local bank seem to be able to overcome this problem, and that credit institutions generally are perceived by organic farmers as being skeptical of their farming methods. It is likely that some farmers considering switching to organic methods, as well as some beginning organic farmers, do experience some credit problems. It does not appear to be a serious obstacle, however, or one that cannot be overcome. Weed control was the leading disadvantage among the 120 farm­ers who listed any disadvantages of organic farming. Fifty-one of these respondents listed weed control difficulties as their biggest problem. Responses of the 29 farmers who reported that they hesitated for some time before switching to organic methods also suggest that weed control problems are perceived as a serious conversion barrier. Responses with regard to organic farming research needs also iden­tified weed control as a serious problem. Forty-six of the 106 farm­ers who indicated a need for more organic-related research listed improved weed control practices as an important need. This evidence suggests that controlling weeds is perceived as a serious problem by organic farmers and that it is a serious barrier to conversion. Lack of easy access to reliable organic farming information is perceived by organic farmers as a serious barrier to conversion. They rely primarily on information from other organic farmers and from such nontraditional sources as organic farming books and maga­zines, representatives of organic fertilizer companies, and organic farming workshops and conferences that often have organic industry sponsorship. Organic farmers have a strong interest in research on a long list of special problems, including the need for better weed control practices. A substantial number indicated they would adopt new prac­tices, such as manure composting, if more research-based informa­tion were available. Organic farmers who sell to organic markets are optimistic about the demand for organically grown products and a substantial number receive price premiums. Most organic farmers have difficulty obtaining special market information, however, and nearly all who do obtain needed information get it from organic industry sources or from other organic farmers. Organic farmers who use special mar­kets expressed dissatisfaction with such problems as small orders, long delays in getting paid, inadequate returns for cleaning and bagging grains, confusing certification standards, difficulty in contacting buy­ers, and the expense of maintaining special on-farm storage areas. Most of the respondents reported that they purchase organic fertilizers and soil conditioners and are generally satisfied with the companies and their products. However, they reported some problems with products that are available only in carload lots, that do not flow easily through planter hoses, that are difficult to spread, or that take up moisture before they are delivered. Although some landlords insist on having their land farmed with chemicals, access to rented land does not appear to be a serious prob­lem. A large number of organic farmers avoid this problem by renting land from relatives. The respondents expressed reluctance to begin an organic management program on rented land without assurance that they could farm it long enough to realize the benefits. Credit discrimination was seen as a potential problem by a size­able number of organic farmers but few reported that they had actually experienced it themselves. Credit access problems, to the extent they exist, appear to involve government farm credit agencies. This study suggests that there are several serious obstacles toward adoption of organic methods that would discourage conventional farmers from making this change. The alternative information system that has been developed appears to meet many of the needs of organic farmers. However, most conventional farmers do not have access to this system, or even know that it exists, and are left with the highly unsatisfactory option of trying to get information on organic methods from traditional information sources. The design of this study was not ideal because the main data source was farmers who had successfully overcome existing barriers and switched to organic methods. Better information could be obtained from farmers who thought about switching and then changed their minds, converter/adopters who used organic methods and then switched back, or farmers who had always been organic until they converted to conventional methods. However, it would be more difficult to identify farmers in these categories. A related approach would be a survey of conventional farmers to determine the existence of preconditions for adoption of organic methods. These could include the level of dissatisfaction with existing farming practices; the degree to which organic farming could alleviate the cost/price squeeze; perceptions of personal and family health risks associated with conventional farming that are not involved in organic farming; and the degree to which organic farming is viewed as a viable alternative to conventional farming. Further study also is needed of the channels through which or­ganic products are marketed. The tasks, functions, and responsibili­ties shared by organic producers and marketing outlets are not fully sorted out and understood, so that the system is poorly defined. Berardi, G. M. 1978, “Organic and conventional wheat production: Examination of energy and economics. ” Agro-Ecosystems 4: 367-376. Organic Farming: A Profile of Conventional and Organic Farm­ers in Michigan. ” Paper presented at the Annual Meeting of the Rural Sociological Society, Burlington, Vermont. Klepper, R. , W. Lockeretz, B. Commoner, M. Gertler, S. Fast, D. O’Leary, and R. Blobaum. 1977. “Economic performance and energy intensiveness on organic and conventional farms in the Corn Belt: A preliminary comparison.” Am. J. Agr. Econ. 59: 1-12. Performance and Energy Intensiveness of Organic and Conven­tional Small Grain Farms in the Northwest.” M.A. Thesis, Dept. of Agricultural Economics, Washington State University, Pullman. Marston, S. J. and W. Flinn. 1981. 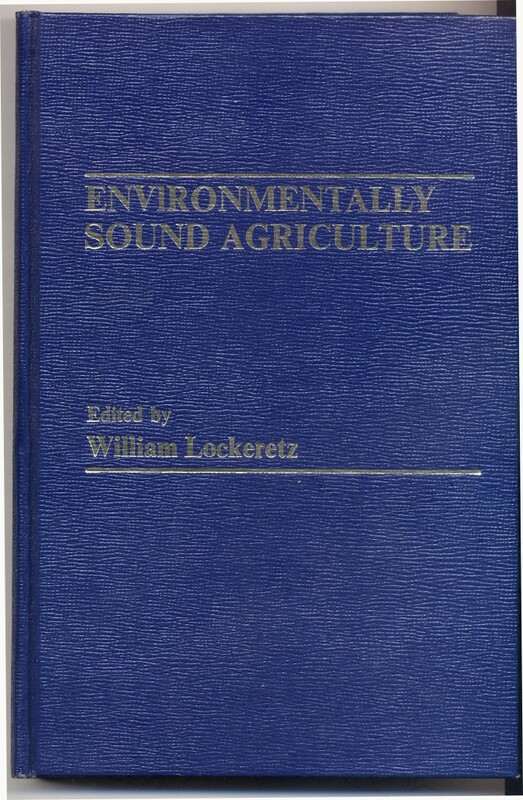 “Alternative Agriculture in Ohio, 1978: Ideological Tenets and General Characteristics. ” Rural Life Series No. 1, Ohio State University, Columbus. Oelhaf, Robert C. 1978. Organic Agriculture: Economic and Ecologi­cal Comparisons with Conventional Methods. Montclair, N.J.: Allenheld, Osmun & Co.
Planning and Development Division. 1979. Organic Farming: An Over­view. St. Paul, Minnesota: Department of Agriculture. Roberts, K. J. 1977. “The Economics of Organic Crop Production^ the Western Corn Belt. ” M.S. Thesis, University of Missouri, Columbia. Rozyne, M., and D. Vail. 1978. “Aspects of the Social Relations of Production on 31 Small Organic Farms in Maine.” Maine Small Farm Management and Technology Project. Paper No. 10. Bowdoin College, Brunswick, Maine. U.S. Department of Agriculture. 1980. Report and Recommendations on Organic Farming. Report of the USDA Study Team on Organic Farming. Washington, D.C.: U.S. Government Printing Office. Wernick, S., and W. Lockeretz. 1977. “Motivations and Practices of Organic Farmers.” Compost Sci. 18 (6): 20-24. Youngberg, I. G. 1978. “Alternative Agriculturists: Ideology, Politics and Prospects. ” In The New Politics of Food, edited by D. F. Hadwiger and W. P. Browne. Lexington, Mass. : Heath.